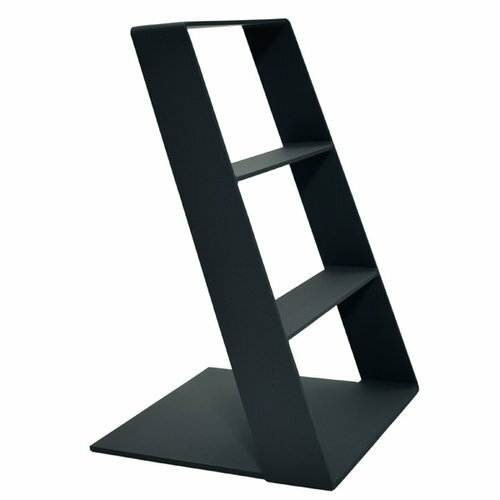 The free standing Heaven step ladder is designed by Thomas Bernstrand. The bottom plate holds it up. 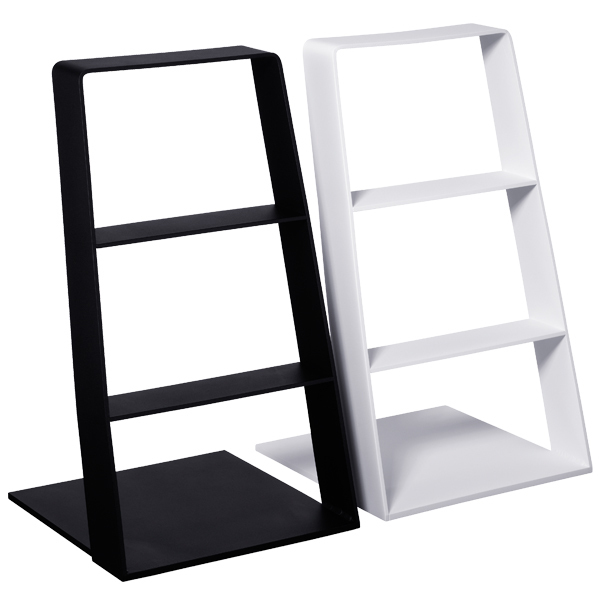 The ladder is made out of painted aluminium. Thomas Bernstrand is a Swedish designer who founded his own Bernstrand & Co. design studio in Stockholm in 1999. The company works within both furniture and product design, and interior and landscape design. Bernstrand has studied at Konstfack and the Royal Academy of Fine Arts in Stockholm and in Danmarks Designskole in Copenhagen. Bernstrands design is characterized by a clear idea which he flavors with some humor. He does not like making compromises, but sticks firmly to his original plans, and that is why he can always proudly stand behind his work. Thomas Bernstrand has been awarded several times in his homeland as well as abroad and his work has been featured in many design- and art exhibitions around the world.